It’s time to nominate blogs for one or more of the 29 available categories. What do you need to do? Go to this link, and submit a nomination for each category. 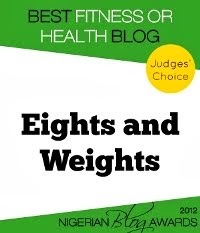 And don't forget to nominate Eights & Weights as the Best Fitness or Health blog! Only one blog can be nominated per category. You do not have to submit a nominee for each category. 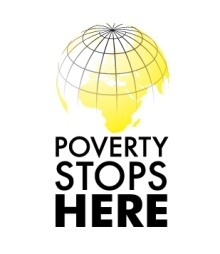 The blog address (e.g. http://blogaddress.com) of the blog (not the blog name) must be entered. You must provide a valid email address before your nomination will be registered. Once you’ve submitted your nomination form, please check for an email from nigerianblogawards@gmail.com and follow the instructions in the email to ensure your nominations are counted. If you don’t follow the instructions in the email your vote will not be counted. Blogs nominated for categories they do not qualify for will not be counted. Forms that nominate the same blog in most or all of the categories will not be counted. If you make errors in your submission, send an email to nigerianblogawards@gmail.com and we can help you make the appropriate changes.